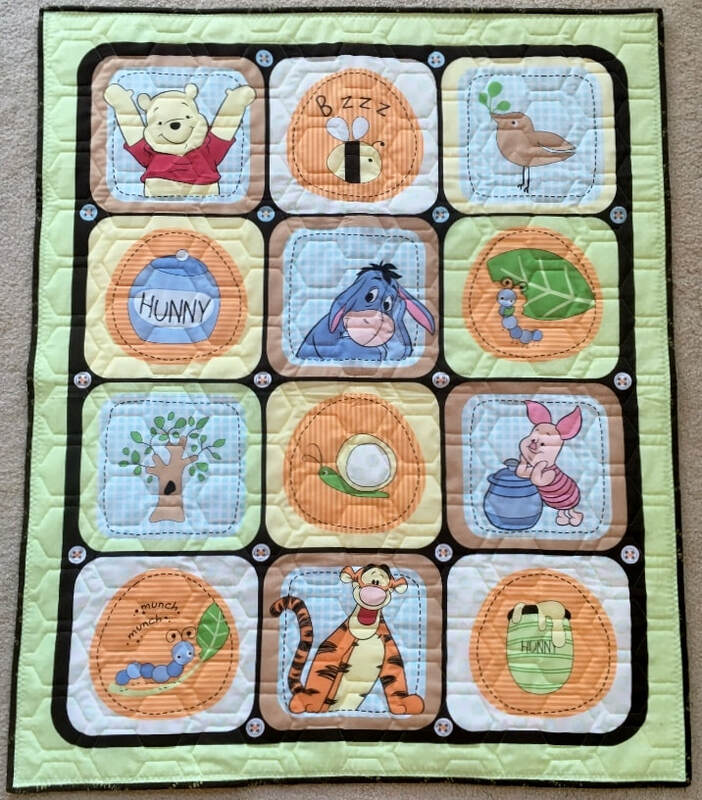 This sweet little quilt is made with a darling Winnie The Pooh panel with all your favorite characters. The back is made with a sweet Winnie The Pooh flannel fabric and the binding is brown. Perfect for any baby! This precious little quilt is made with a darling Baby panel with a Teddy Bear and Bunny floating in an umbrella with a Baby Train chugging by. The back is made with a sweet blue and pink floral and the binding is pink. 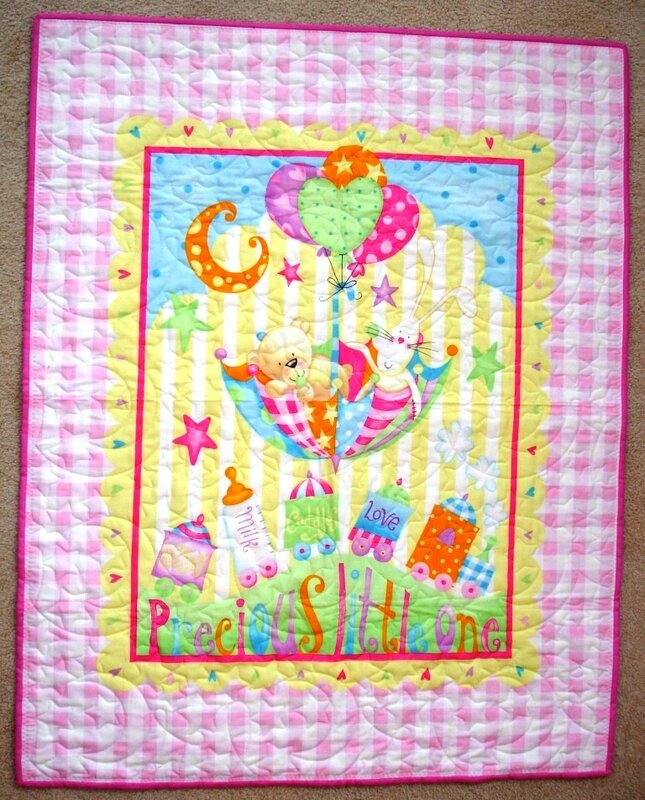 This quilt is made with a high loft polyester batting which makes it very puffy and cuddly, perfect for a precious little one! 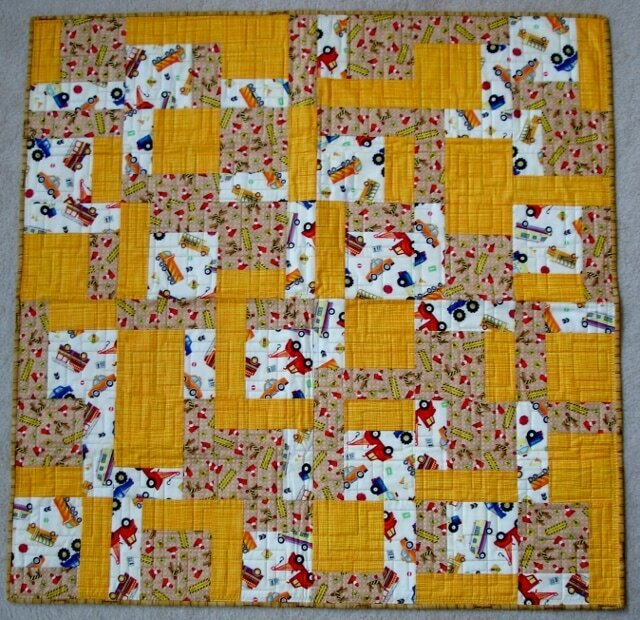 This cute little quilt is made with 3 fun fabrics; trucks, construction, and an orange print. The back is a tan woodgrain fabric and the binding is the same woodgrain.